Disclaimer: I received this set of Brilliant Reflective Strips to review as part of being a BibRave Pro. Learn more about becoming a BibRave Pro (ambassador), and check out BibRave.com to review find and write race reviews! 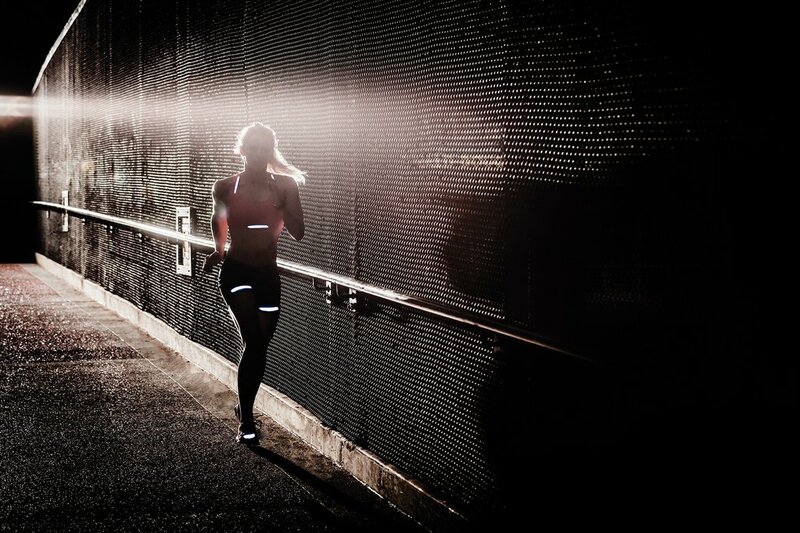 Before this BibRave campaign with Brilliant Reflective I was very naive about my running safety. I always thought, if my clothing had reflective material, I was fine. Boy was I wrong, you can read my full review of this product and everything learned in the topic HERE. But for real, just because you think you’re being safe out there, it never hurts to do some more research on the matter and really indulge yourself in the topic. After all, we only get this one life, let’s be safe and smart together!! When opening up your Brilliant Reflective Strips you’ll see an image where it shows you just where to place your reflective strips on the front, back and even sides of your clothing. This isn’t just a recommendation, this graphic shows you just where these strips must be placed for a human being driving down the road to, sooner, recognize you as a human being as opposed to a static object. So the big word here that we need to learn about is Biomotion. Reflective material should be placed on shoulders, wrists, hips, knees and shoes! No matter what you’re currently doing it never hurts to rethink or re-examine your reflective strip placing. In all cases, think 360°!!!! Applying these strips is a piece of cake, I’ve gone through the process for both iron on and stick on via Instagram Story which I am going to paste below for those of you who would like a more visual tutorial, however the directions on the packaging are superb and so well written out as well!!! Thank you all so much for following along on this campaign. Safety is such a big issue for me, I love knowing that I’m as safe as I can be when I’m out on the roads running and it makes me happy to know my friends are as well! This may end BibRaves safety month but I’ll forever be grateful for the opportunity to test such an incredible product and learn so much about my own personal safety!!! I hope you have all enjoyed following along and here’s to many more safe runs in the future!! !